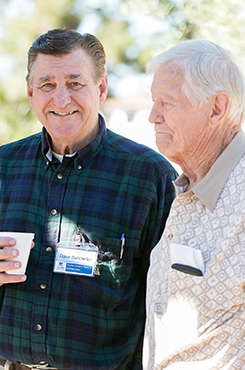 La Jolla Community Church (LJCC) is an intergenerational family of families. We want to meet your needs and answer the questions you have. Watch the video and read the content below to learn more about how we can come alongside you on your faith journey. Wherever you’re at on your walk with Christ, you belong here. 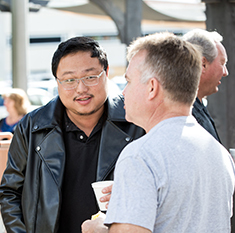 We want you to feel at home when you visit La Jolla Community Church (LJCC). We are a family-friendly community focused on helping people find practical answers to the questions and challenges they are facing. This is a safe place of truth, faith, hope and love. When you visit LJCC, you find people dressed casually and comfortably. Our greeters are ready for you as you enter the parking lot and help you find your way into the building. We have fresh coffee brewing for you and light snacks between services. Our worship services last a little over an hour and include singing, prayer, personal stories, and a message to help you bring biblical truth into your everyday life. Our prayer team is available to pray with you after each service and we celebrate Holy Communion on the first Sunday of every month as a church family. Be sure to visit the Connect table outside the Welcome Center for a free gift, too! Please note that filming happens on our campus from time to time and services are live streamed. Our Children’s Ministry provides fun and energetic experiences for infants through fifth grade. Students learn about Jesus and develop their own authentic faith with other students of the same age. Children’s programs are offered on Sundays during the 9:00 am and 10:45 am services. Children are engaged in a unique learning atmosphere, where they discover how to practically apply Bible stories in their lives, participate in worship and small group activities. 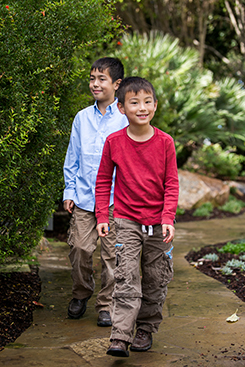 Learn more about children’s Sunday programs. The safety of your children is incredibly important to us. Each child is checked-in before service, and in the event your child needs your attention during service, we will use your cell phone number to contact you. All staff and volunteers working with children are screened and go through a background check as well, to further ensure the safety of your children. The Youth Ministries at LJCC is a community of students who have questions about life and faith and who gather weekly to encounter God and meet with friends. Junior High and High School students also participate in Mexico mission trips, serve together at a local soup kitchen, and gather regularly for fun nights to hang out. 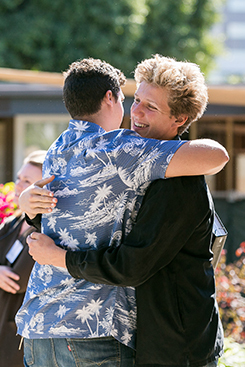 Students who attend consider the ministry to be a family. We love when the family grows, so come join us! Our mission as a church is to proclaim and demonstrate the Kingdom of God by equipping everyday people to walk with Jesus every day. We believe everything Jesus proclaimed, taught, and demonstrated. And when we live a Christ-centered life, we experience transformation, harmony, and the life we were meant to live. God is able and ready to meet your needs, to help you find the answers you’re looking for, and to help you write a better story with your life. Our hope is to see strong marriages, healthy families, and transformed lives. 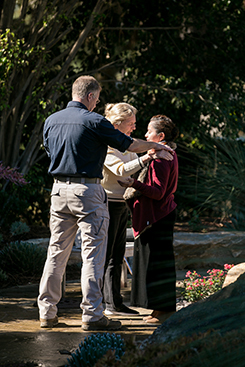 You are invited to be a part of this community and God’s family. We believe everything Jesus proclaimed, taught and demonstrated. Whether you are looking for answers to life’s tough questions, recently decided to follow Jesus, or are a mature believer looking for a spiritual breakthrough, the Pathways series is a great next step for you. This is an 8-week journey that explores the basic truths of the Christian faith. The workshop covers important topics like God’s love, forgiveness, prayer, the Bible, and much more. To learn more about Pathways, visit the classes page or contact Ian O’Meara.